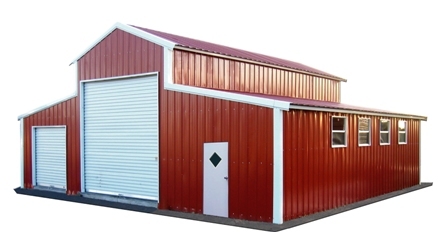 Utah Barns offers the best metal Barns in the industry, as well as several other metal buildings. 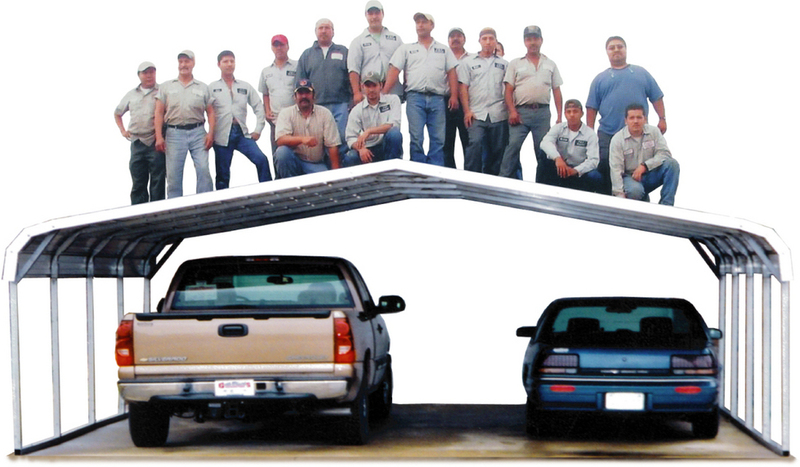 We can also build Carports, Garages, Loafing Sheds, Warehouses, Workshops, and more. So, If you need to buy a barn in Utah, look no further. Barns - Our barns are built to last. Using 12 or 14 gauge galvanized steel allows for a strong, customizable, metal barn. We have several options and styles available for our certified and non-certified barns. A-Frame (like shown to the left), Regular, and Strait Roof barns are all better when Utah Barns builds them. Options like widows, doors, and extras for your Barn will turn your standard barn into exactly what you need. Metal Buildings - With metal buildings becoming more and more popular and affordable, we have made sure that we can meet any customer's needs by offering the widest selection of other metal buildings. We offer Carports, Garages, Utility Carports, Loafing Sheds, Warehouses, Workshops, Riding Areas, Livestock shelters, Tool Sheds, RV Covers, and an unlimited number of possible custom buildings. We can build up to 100' free-span buildings. If you don't think we can build what you need just call, and we may surprise you.